As Thanksgiving approached, the only thing my friend Debbie, mother of eight, found in her freezer was a pound of ground meat. Finances were tight. Her husband had been holding down three part-time jobs since being laid off the year before. Not wanting to burden her friends or family, Debbie told no one about this pressing need and left it entirely in the Lord’s hands. Two days later, Debbie’s father-in-law, with no knowledge of their plight, dropped by with a large turkey he’d run across on sale. A few days later, someone brought another turkey. Then another. And another. 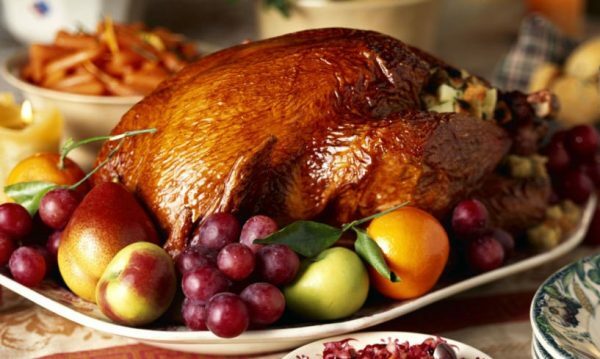 In Debbie’s words, “For ten days, the floodgates of heaven opened and packed our freezer with fourteen turkeys, twenty chickens, and forty pounds of venison.” Then a grocery store gift card arrived, which provided all the fixings for a bountiful Thanksgiving dinner. Debbie needed one bird and the Lord provided thirty-four. Plus a herd of deer. Wow! What a God we serve! And what an example of gratitude Debbie is. She was ready to accept – with heartfelt thanks – a pot of soup, but instead she received in-the-flesh verification of Ephesians 3:20-21: “To Him who is able to do exceeding abundantly above ALL that we ask or think, according to the power that works in us, to Him be the glory … forever and ever. Amen.” (NKJV, emphasis mine). Wishing you, my friend, a heart full of gratitude and a pie full of chocolate this Thanksgiving. Oh, and special congrats to the winner of my Beyond Grateful Giveaway: Jennifer Hoppough. 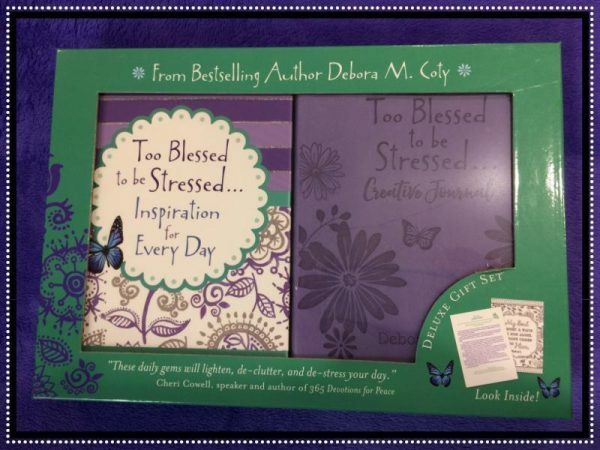 Jen will receive an autographed Too Blessed to be Stressed Deluxe Gift Set, featuring my 365-day devo, Too Blessed to be Stressed: Inspiration for Every Day, and the accompanying Creative Journal (the gift sets are exclusively carried by Sam’s Club – and I hear they’re running out, so hurry if you want one – but the devo is readily available in hard cover in Christian bookstores and online). A great way to start every day of the new year in Papa God’s word! Debora, thank you for sharing this beautiful story. As I read this, I have just enjoyed a lunch that may seem simple to many but would be a feast to do many more! Tomorrow, I will join others for a community Thanksgiving meal at our church and once again, I will have a feast. I try to thank and praise God each day but I can never truly give Him the praise that He deserves. Congratulations to Jennifer and Happy Thanksgiving! Praying you have a very blessed Thanksgiving, Connie! Thank you for sharing this story of victory. How many times do we assume our neighbors are doing okay? Only God knows the hairs on our heads and the turkeys in our freezers. Well said, Debra. Wishing you and yours a blessed Thanksgiving.